Critical Acclaim: 4.5/5 Their first single, which ironically didn’t receive critical acclaim, is actually pretty good. It is an ode to the troops, and although the rants throughout the song are annoying, the song is so good that it makes up for it. It’s no “Bat Country”, but it is still a great song. Almost Easy: 4.75/5 Any singer that sings lyrics “I’m Not Insane” like a possessed James Hetfield has something going for him. This is their second single, and it is lighting up the charts. It’s fairly catchy and accessible for the casual hard rock/metal fan. Scream: 4.5/5 No wonder they released the cd right before Halloween. This track is kind of silly, but it has a driving groove and is just a good all around metal song. Afterlife: 4.6/5 This song would have been a 5 if it weren’t for the uninspired chorus. The rest of the song is great, but the chorus just doesn’t work. Gunslinger: 4.75/5 The first minute and a half are straight country, with slide guitar and everything. Then M. Shadows realizes he is in a metal song, and unleashes hell. The song is great, and the intro fits in perfectly with the rest of the song. Unbound (The Wild Ride): 5/5 I love this track. It sounds like it would be playing in the background during a chase scene in a movie. The continual 16th note piano works perfectly with the drum beat as they flow into the chorus. It’s a very aggressive song and usually makes me drive at least 10 mph faster when I’m in my car. Brompton Cocktail: 4.75/5 Another very heavy track that is just straight forward metal. I have nothing bad to say about it. Lost: 4.5/5 T-Pain? Peter Frampton? M. Shadows? This song is great, and then it goes all T-Pain on us. I actually have nothing against it, but I could see how others might. I like the effect and think it works well with the song. 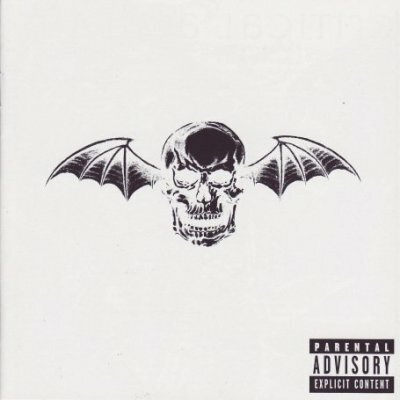 A Little Piece Of Heaven: 5/5 It seems that Avenged Sevenfold is channeling their inner Mr. Bungle/Danny Elfman/Panic! At The Disco on this track. I freaking love it. The track is their Bohemian Rhapsody, and it has the symphony to prove it. The song switches tempos and styles every 20 seconds, and somehow it works perfectly. My favorite track on the album by far. Dear God: 4.3/5 This is their countryish song that has many up in arms, but I actually don’t mind it. The song is well-written and flows nicely. It is a good closer to the album. Overall: 4.5/5 This CD is great. It is what City of Evil should have been. Their song writing improved and the whole cd flows well together. Although it isn’t as good as Waking The Fallen, it is still much better than most metal out right now.